Hi! My name is Clemens. I’m a glider pilot and I invite you to join me on my quest to become better at the ultimate game of chess: soaring. A glider (also called sailplane) is an airplane without an engine. If you’ve ever folded a piece of paper into a glider you get the idea. The sailplanes I fly are essentially the same thing, just bigger, heavier, and more sophisticated. Like anything that’s heavier than air, they must always glide down until they are back on the ground. But gliding down and landing safely is the easy part. Soaring on the other hand, i.e., staying up and covering hundreds of miles across the country, is cerebral, complex and challenging. To rise and stay aloft, you have to outsmart the sun and the wind. You have to read the clouds above and the ground below. You have to know the limits of your equipment and of yourself. You constantly have to make decisions and take calculated risks. In short, you are playing a game of chess in the air. And your opponent is no-one else but mother nature: fierce and infinitely more powerful than you. I first started to fly gliders in 1983, just after my 16th birthday. For a few years I flew fairly regularly and added certificates for winch launching and self-launch (in a motor glider) to my initial aero-tow license. Then came university, family, and a global business career, and gliding was relegated to a line item on my resume under “other experiences”. In 2017, I finally decided to end the hiatus and return to the sport that I once loved. 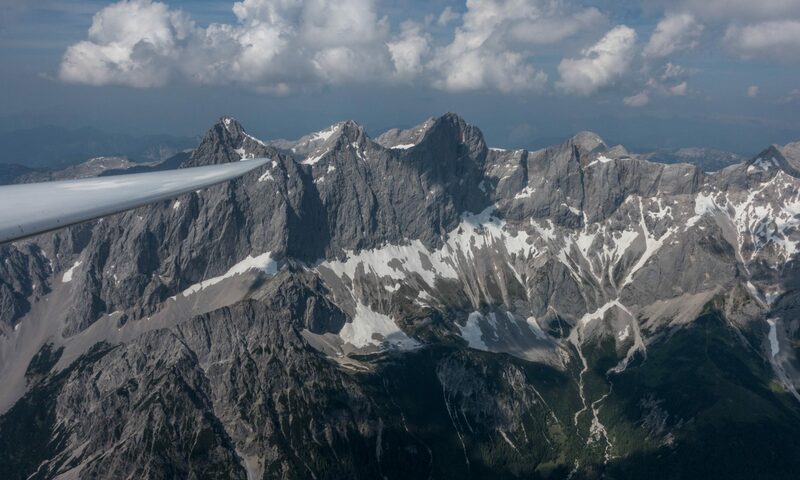 This blog, therefore, chronicles my second journey to become a better soaring pilot. It is, first and foremost, written for myself: to document what I learn, the mistakes I make, and the sense of wonder that I experience. But I hope it can also serve to inspire other glider pilots and those who consider joining this wonderful, and incredibly challenging sport. Btw – I love to move silently through open spaces even if the weather isn’t right for soaring. In that case I just use my own two feet to power my adventures. You can find my ultra-running and adventure blog right here.